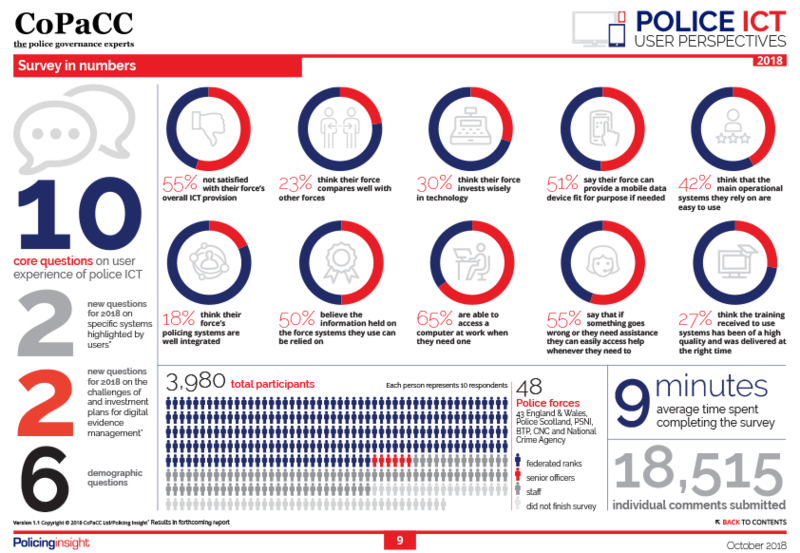 The 2018 CoPaCC National Police ICT Survey has revealed that 55% of respondents are not satisfied with their force’s overall ICT provision. Feedback from nearly 4,000 particpants from 48 forces, answering 10 core questions and submitting 18,515 individual comments, has highlighted a range of issues from out-of-date equipment and unreliable systems to a lack of training and support. Read the full Policing Insight report. Earlier this year, in an interview with The Police ICT Company, Joe Hoy discussed some of the key challenges facing UK police forces and the ways in which Forensic Analytics’ software products (now available through the Company’s Vendor Management programme) and training courses help to support complex investigations. Read the full Q&A. We have seen, first hand, how the right IT support can make or break cases and are here to help. Download an A5 pdf guide to our software and contact us on 0800 158 3830 for a free consultation.